Becoming one of the most exciting young prospects in your country and the continent is a route many footballers wish they could reach as hot prospects, but nearly all will fall short. Furthermore, when young players do get their chance, they are immediately expected to shine and hit very high-performance levels just to maintain a place in the team. In this era of heavily-focused youth development and state-of-the-art academy centres, kids are being trained up from ages as little as 4 and 5. So it begs the question of whether a ‘late bloomer’ or a player who chooses to hone their skills for longer in the lower leagues can still make it to the top? One man is proving that is possible; 22-year-old Borussia Dortmund player Manuel Obafemi Akanji. The Swiss-Nigerian defender was highly sought after from FC Basel in the winter transfer window this year and eventually moved to Signal Iduna Park for a deal worth around £20m. The 6ft 2in athlete has looked assured, confident and determined in his performances for the German club so far, even taking the spot of captain Marcel Schmeltzer at left-back recently against Bayer Leverkusen. With his place on the Swiss plane to the 2018 World Cup in Russia firmly secured, he has the perfect platform to show his qualities, versatility and faith in his own ability. Born in the town of Wiesendangen, a district of Winterthur in Switzerland, Akanji’s path into sports was fairly imminent. His Nigerian father was an amateur footballer whilst his mother played tennis and his older sister played football in the National League A. This variety of sporting talent in the family saw Akanji delve into track and field as well as tennis as a child, meaning he did not concentrate on football until he was a teenager. Playing for his local side FC Wiesendangen from nine years old, Akanji moved far from home, taking the opportunity to play for second tier FC Winterthur aged 12. He admitted in an interview that he was an average player as a junior and he never thought he would have a big career as he just wanted to play for fun. That is certainly a different attitude to the one he has now, and the epiphany moment came to him after experiencing a natural growth spurt at 17. 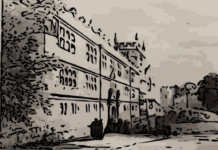 His performances were boosted by his physical growth and he could truly realise his potential when he was finally given the chance to play for Winterthur’s senior team. He made 35 appearances and netted a goal in his debut season in 2014/15 and also made his international debut for the Switzerland Under 20 side. The years of development, trust from the team and opportunity to play without the pressure of being dropped meant Akanji caught the attention of FC Basel. In July 2015, he took the step to sign with the Swiss powerhouses in a deal worth £600,000. His debut season did not quite go to plan however when a cruciate ligament rupture interrupted the majority of his season and meant he made just eight appearances. Nevertheless, it was enough of a contribution towards his first winners’ medal as Basel were crowned champions that season, winning the title for the seventh season in a row. His recovery process was fleeted with questions of whether he could return to the former exciting prospect he was, but he answered those questions with a tattoo he got during his time out saying ‘prove them wrong’. That is certainly what he did for the remainder of the 2016/17 season in which his 19 appearances saw Basel go unbeaten with five clean sheets and Akanji contributing an impressive five goals. Trophy number two and three added to his decoration aged 21, Akanji celebrated a double with the Swiss League and Cup wrapped up in style. The summer was about to get better as he received his first cap for the Switzerland national team against the Faroe Islands in June 2017, winning 2-0. His importance to the international team increased as Akanji played a key role in his nation’s qualification to the 2018 World Cup in November when Switzerland defeated Northern Ireland over two legs 1-0. Whilst huge controversy struck when Corry Evans supposedly handled Xherdan Shaqiri’s shot on goal in the first leg, Akanji and Co. limited a desperate Northern Irish side to long shots and half chances. 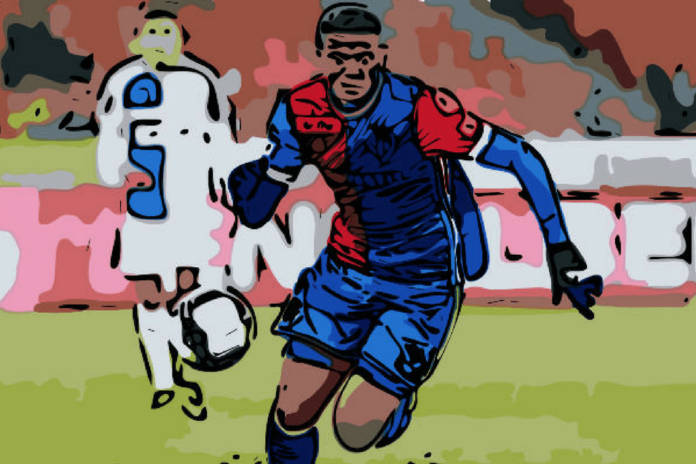 Entering this current season, Akanji managed seven clean sheets in 17 league games whilst making his UEFA Champions League debut for an impressive Basel side. The winning feeling continued to flow into Akanji’s club career as victories over Benfica and CSKA Moscow were overshadowed by the 1-0 win over Manchester United. Akanji openly admitted he is a Red Devil fan and hopes to play for them one day, and putting in a brilliant performance against United has done no harm in making sure the English club keep close tabs on the Swiss international for the foreseeable future. Playing on the right side of the Basel defence, Akanji looked very composed when bringing the ball out with both feet and making forward passes to his teammates. He needed to use his frame to his full potential as he was able to shrug off and out-strength none other than Romelu Lukaku. On top of that, he remarkably won aerial duels with another physical Belgian in Marouane Fellaini. Most importantly, Akanji showed his great defensive skills with a great last-ditch clearance off the line to what would have been a Fellaini headed goal. A target of Liverpool and Dortmund among other big clubs going into the winter transfer window, Akanji had suddenly become one of the most sought-after defenders in Europe just years after finally breaking into professional football aged 19. Basel could not keep hold of the Swiss star when Borussia Dortmund made the stunning offer of around £20m and he completed the career-changing move on January 15th, 2018. The high transfer fee paid by Dortmund shows they are keen to see Akanji become a key feature of the exciting squad for many years to come and maybe build a strong defensive partnership with young Frenchman Dan-Axel Zagadou. In his first eight appearances so far with the club, Akanji has helped produce four clean sheets and six wins including a very assured performance at left back against Bayer Leverkusen. The meteoric rise of Akanji’s career so far correlates to the career of his good friend and fellow countryman Breel Embolo, an exciting Swiss striker who set Schalke back £20m when also signed from FC Basel in 2016. Both Akanji and Embolo have won the Swiss Rookie of the Year awards and will be reunited on the same team when they are set to play Brazil, Serbia and Costa Rica in Group E of the 2018 World Cup in Russia. A photo of the pair overlooking the Eiffel Tower last December whilst Akanji was still at Basel was tagged ‘How can we lose when we came with nothing’ with the hashtag going to the top. This truly highlights his glowing confidence and belief and what is going to help is the blocking out of everyone’s expectations of him when he said he feels no pressure at all regarding his limitless potential. But a solid showing at the World Cup this summer and the reliable nurturing of his potential at Dortmund in the future, Akanji really could get to his ‘top’ by winning trophies playing for Manchester United and would be able to freely boast about proving any doubters wrong. Previous articleToo many domestic fixtures these days? Don’t make me laugh! Leicester City fan • content writer for Ronnie Dog Media website Tale of Two Halves, follow me on Twitter. World Cup 1982. Day-by-Day. Day Ten. Poles Apart. Scots Crash Out.